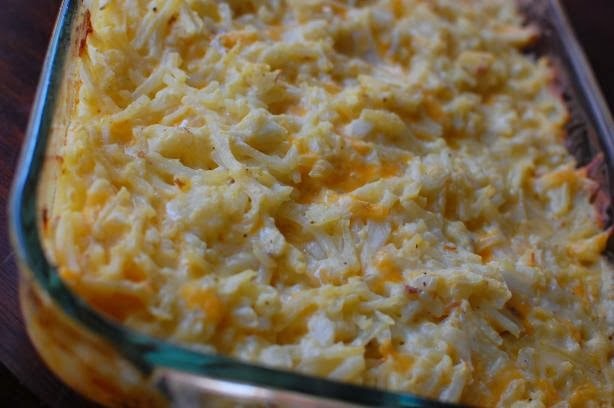 I don't know if this is Cracker Barrel's actual hash browns casserole recipe, but it is close. This recipe can feed a large crowd and is good for a brunch. Preheat oven to 350°F and spray an 11 x 14 baking dish with cooking spray. Mix the above ingredients together, place in prepared pan and bake for 45 minutes or until brown on top.